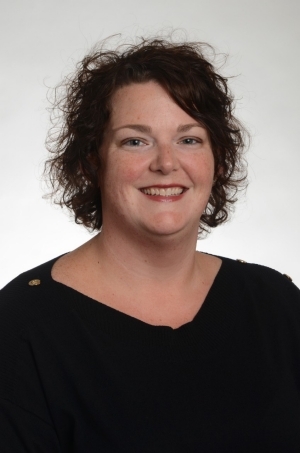 HIGHLAND HEIGHTS, Ky. (Dec. 12, 2017) — Northern Kentucky University has selected Dr. Shauna Reilly as the first director of the Institute for Student Research and Creative Activity (ISRCA). ISRCA will engage, support, enhance and acknowledge the involvement of students and their faculty mentors in research, scholarship and creative activities throughout campus. ISRCA will also assist in growing the number and the scope of research, scholarship and creative activity for all NKU students. ISRCA was approved by NKU’s Board of Regents in November and will officially launch in January 2018. Dr. Reilly received her Ph.D. from Georgia State University in 2009 and joined NKU’s Political Science faculty that fall. She has served as the assistant chair and program coordinator of both political science and international studies in the political science, criminal justice and organizational leadership department. In her eight years at NKU, she has mentored over 40 students to present their research at professional conferences, 18 student presentations at the Celebration of Student Research and Creative Activity as well as several honors’ capstones and student grant submissions. She has also written five books and several articles in the area of voter participation and accessibility.